Windows Phone 8 update is a small update that will benefit big phones. Count Microsoft in on the giant phone trend. When the latest Windows Phone 8 update hits devices at the end of the month, MIcrosoft's mobile operating system will get support for zippy quad-core processors and 1080p high-definition screens. That means Windows Phone devices will be able to sport five-inch, Apple (AAPL) iPhone-like retina-grade displays. It also means that we'll eventually see a Windows Phone phablet. 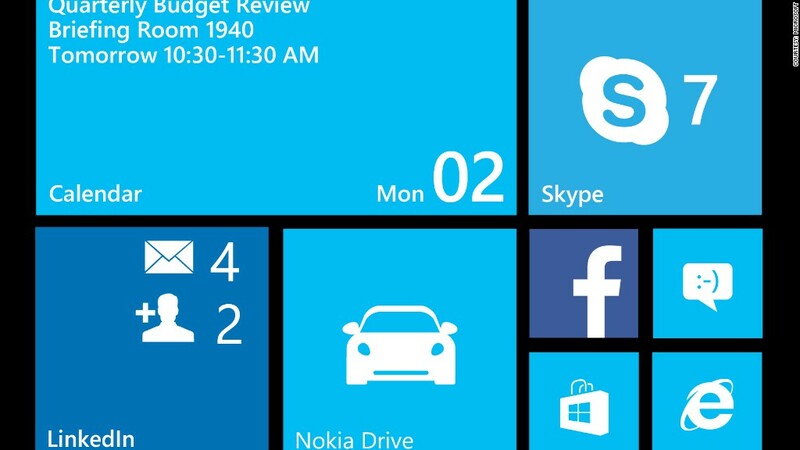 The push for bigger displays also means that more live tiles can fit on the screen, and big phones running Windows Phone 8 will be able to add an extra column of tiles to its home screen. In its previous iteration, Windows Phone 8 only allowed for slower dual-core processors and less-rich 720p screens. That meant Windows Phone devices couldn't participate in the move towards gigantic phones. The most universal change to Windows Phone 8 is that Microsoft (MSFT) has added a multitasking interface to the operating system for quick app switching. For those who have used or seen how multitasking in iOS 7 works, Microsoft's implementation isn't all that different. Hold down the back button, and you're transitioned to a screen where each open app is represented as a card that you can tap to close. And then there are the more minor updates. It will be easier to use your phone as a wireless hotspot, allowing you to use Bluetooth to automatically set things up. You can -- finally -- lock the orientation of the screen so that it doesn't keep rotating when you're lying down. And the Windows Phone 8 update will automatically detect when you're driving, and it can automatically send replies to text messages. Microsoft says there are other tweaks and improvements, but aside from claims of improved overall performance, they're things users won't notice. The free Windows Phone update will start popping up on the first devices sometime in the next few weeks, but the time frame for which phones get it depends on which phone you have, and what carrier your signed up with.